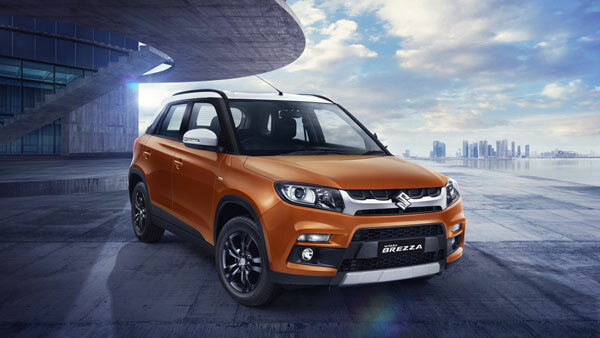 India`s largest car maker by market share is planning to launch the 2019 Vitara Brezza in the domestic car market. As per a recent report the Vitara Brezza facelift will launch in the Indian market in the coming months. Production of the compact SUV has already started at Maruti`s plant. The Brezza facelift will feature cosmetic as well as mechanical updates. The 2019 Vitara Brezza will get styling changes in the form of revised front and rear bumpers, LED headlights, revamped front grille, and updated tail-lamps. To enhance its sporty appeal the SUV will also get an air intake scoop on the bonnet. Inside the cabin the new Brezza will get updated seat upholstery, SmartPlay Infotainment system and a number of new updates to take on the competition. Under the hood the 2019 Vitara Brezza will feature Maruti`s latest diesel engine which is called the DDiS225. The oil burner is a 1.5 litre unit which generates 95 bhp of power and 225 Nm of twisting force. Power is transmitted to the front wheels through a 6-speed manual gearbox. The new diesel engine has been developed in-house by Maruti engineers and will replace the old tried and tested 1.3 litre diesel unit from Fiat. The new Vitara Brezza will also be offered with an AMT transmission. The new diesel engine from Maruti will first make its debut in the Ciaz sedan and the 2019 Maruti Ertiga. The Vitara Brezza is the best-selling SUV in the Indian car market. The Brezza is a compact SUV which was first introduced in India in 2016. Since its launch it hasn’t received any major updates. It competes with the likes of the Ford Ecosport, Tata Nexon, and Mahindra XUV300. Despite the heavy competition in the sub compact SUV segment the Brezza manages to sell 12,000 units a month.